After years in movies and TV shows, some child actors end up making headlines later in life for stints in rehab, or ongoing legal battles. But not all former child stars become tabloid fodder. Some leave Hollywood behind and pursue other careers. 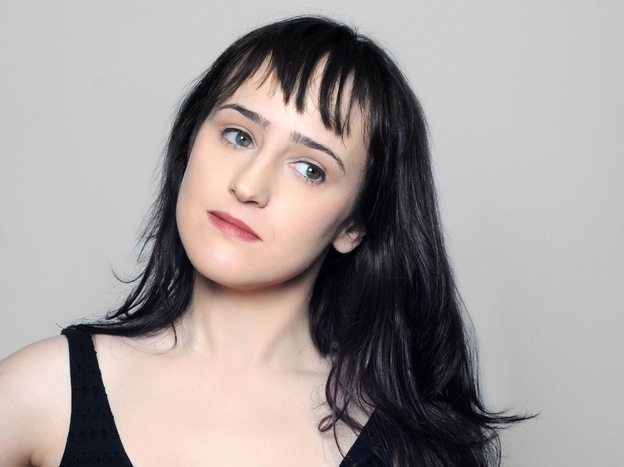 Mara Wilson, who starred in Matilda, Mrs. Doubtfireand Miracle on 34th Street, was able to avoid the drama. Wilson, 25, graduated from New York University in 2009 and is now a writer and playwrightbased in New York. In a recent piece for Cracked.com, she gives an insider's perspective on why some child stars go wild. "They're cute, and so they're used," she tells NPR's Neal Conan. "They're smiley, and they say cute things. But people will come to loathe them because they're so cute." Alfred Hitchcock once described actors as cattle. "That would make child actors veal," she says. Wilson got her start in commercials before being cast as Nattie Hillard in Mrs. Doubtfire.She says acting was an "incidental hobby." "I tried to take it seriously when I was on set and tried to be professional — as professional as a 6-year-old can be. But I don't think that I really wanted to be an actor." 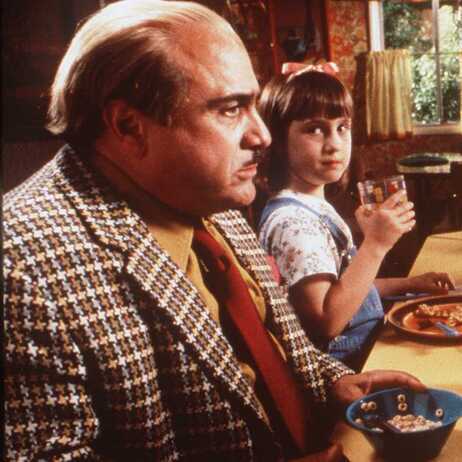 Mara Wilson starred with Danny DeVito in the 1996 movie Matilda. Wilson did always have a dream. "When people asked me what I was going to do when I grow up, I always said, 'I'm going to be a writer. I'm going to write screenplays. I'm going to write books. I'm going to write plays. That's what I'm going to do.' "
The self-described "recovering child actor" talks about the perils of growing up famous. "I had a moment when I was a child where I was filming a scene, and a soccer ball hit me in the chest, and I had to keep on going with the scene even though I was hurt, because I didn't know what else to do. And as soon as they yelled cut, I started crying. ... Everybody on the crew burst out into applause, and that made me cry harder. My mom said, 'No, don't worry, they just thought that you were being professional.' And that's the kind of thing you have to do. "You're also in this environment where you realize that, 'Hey, I can't really make a mistake because making a mistake is going to cost time and money, and it's not going to help out the production.' So you realize, or you think, rather, as a child that this is something that can't happen: I can't make a mistake. I have to be perfect. I have to get it right all the time. And that's not a healthy mindset for a child." "You lose that praise. You lose what you had. And you are so used to it; it's almost like a drug. And all of a sudden it's like withdrawal. You just go off of it, and you feel very rejected. I write in my piece that a lot of kids feel very rejected and very uncomfortable. They're going through puberty, but imagine if the whole rest of the world was basically saying, 'Yeah, you know what, you are pretty useless. You are pretty ugly.' And there's a lot of that out there." "Child stars are a very easy target. And I accept that myself. And it's funny because, I mean I remember when I was a kid, you know, looking at the Olsen twins and thinking, man, I'm never going to be like them. I didn't understand — and they're doing well now, but even, you know, when they were famous, I remember thinking of them as this object and not a human being. I dehumanized them. I thought of them as these objects. "And it didn't occur to me until many years later that people saw me the same way, that they saw me as this object. And that made me understand a little bit better, 'OK ... I'm not to blame for all of the hatred that's coming my way. Or maybe I am, but only to a small extent. And that's something that I understood or I tried to understand, but I think a lot of child stars out there don't understand. And they take it very, very hard."